Arm knitting is exactly what it sounds like: knitting with your arms instead of needles, and it's been all over the news lately. The two largest newspapers to cover the topic were The Wall Street Journal and The Times. You can click here and here to read those articles. I think it's really cool that knitting is making the news in general, and I also think it's cool that the whole arm knitting idea is being referred to as a "craze" and a "trend." The fact that knitting is capable of having trends points to its continuing upswing in popularity among the younger crowds, and I'm all for it. Of the arm knitting projects on Ravelry, I think that Simply Maggie's Arm Knit Blanket looks the coziest, don't you? 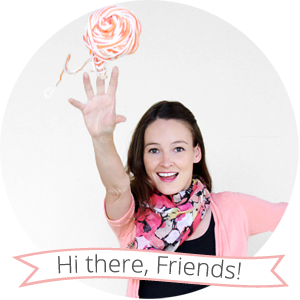 Happy knitting (with or without your arms)! 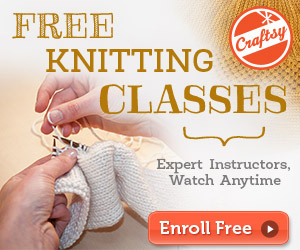 I have no idea how to knit, but this sounds really fun! I'm going to show this to my mom since she loves to knit and is currently knitting while watching Breaking Bad! I'm excited to see your arm knitting project. It seems like such a cozy project for a cold winter day! Winter weather makes me want to break out the yarn, and actually using my arms to create seems perfect!